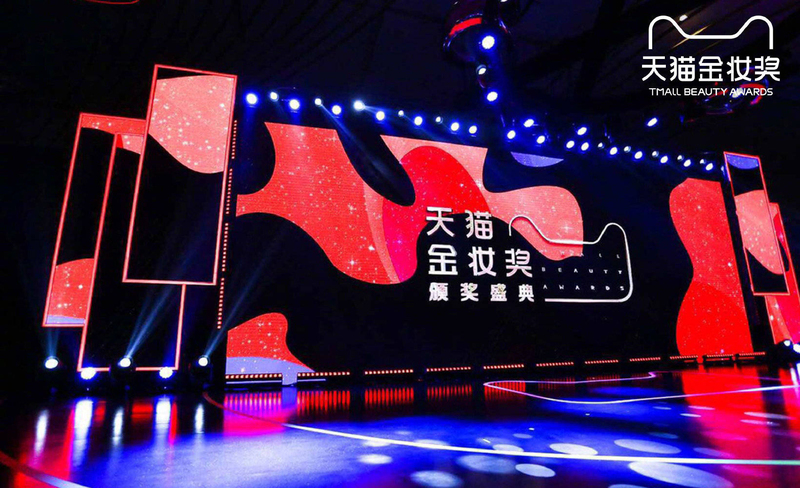 March 4th 2019, the 5th Tmall Beauty Awards was held in Shanghai. It is Tmall’s mega beauty annual event, which is also known as the “Oscar in Chinese beauty industry”. This e-commerce platform owned by Alibaba Group valorizes awards for both international and domestic beauty brands that have outstanding online (Tmall) performances in the past year. 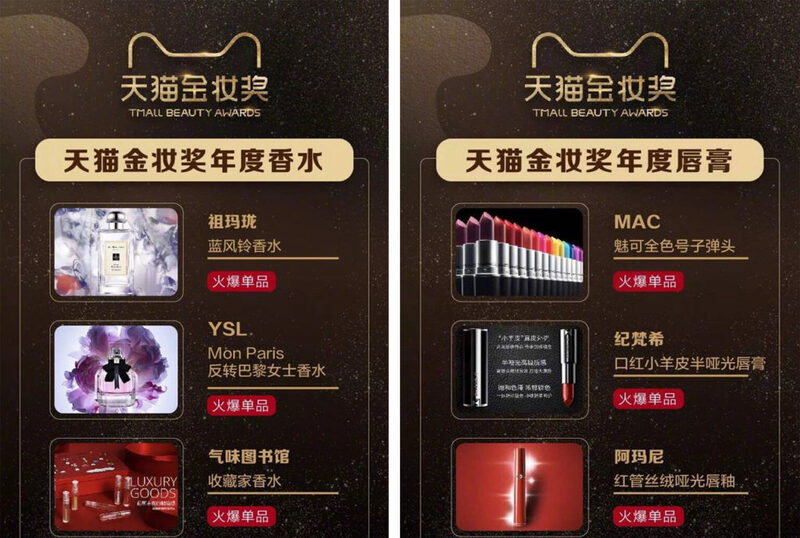 The rewards are based on the results that were generated from the real-time transaction between consumers and beauty brands on Tmall, such as the number of searches, online interaction, favorable rates, sales number and service level. Through the big data and awards list, beauty brands can have a clear understanding about the updated consumer online preferences and behaviors. For Tmall consumers, it is a reliable reference that helps them to make shopping decisions online. According to the figures from Tmall, nearly 2000 beauty brands launched their Tmall official stores in 2018. For the coming year, more international labels are present on the platform, including Tom Ford, Glamglow, Cosme, 3CE, Primera and Atelier Cologne. South Korean brand 3 CE opened its Tmall store in 2018 November and had 1M followers now. 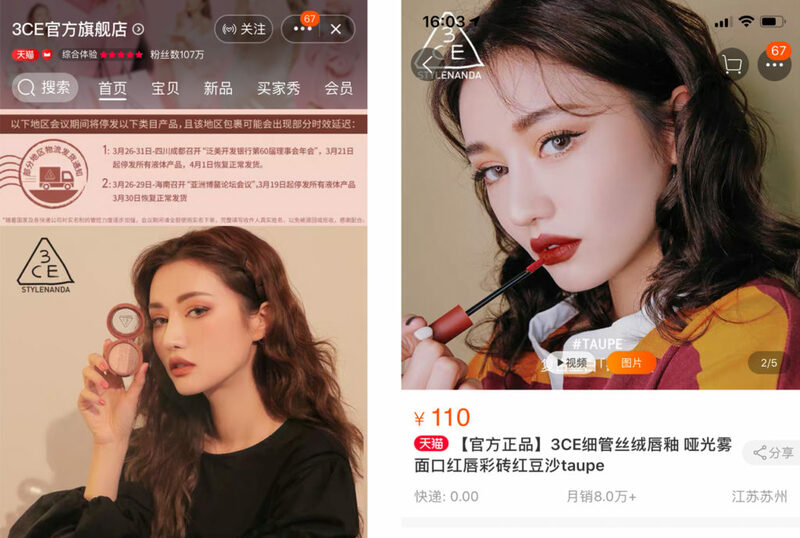 According to Tmall Beauty economy report released at the awards, the number of beauty consumers on Tmall reached 300 million persons and 50.8% are post-90s generation. They are also the group of consumers that purchase 88% of niche beauty products. The attractiveness of limited edition increased with 8% growth year-on-year. There is also an increasing male power for online beauty consumption. Among the 300 million Tmall beauty shoppers, male consumers account for 32.3%. Most of the YSL lipsticks, Jo Malone London perfumes and SKII masks were brought by them for gifting. Meanwhile, the male beauty brands had a 56% year-on-year growth. Products like sun creams, masks, eyebrow pencils and lipsticks are no longer limited to female consumers. Left: the popular gifts brought by male consumers. Right: the most influential lipstick colors from South Korean and domestic TV dramas. Besides the top brands and products list, there is also a reward for the influential celebrities, KOLs or medias that produced innovative beauty contents and that were highly active in the previous year.